It is well known that people with allergies hate dust. But even people without allergies are damaging their bodies by breathing in dirty, dusty air. 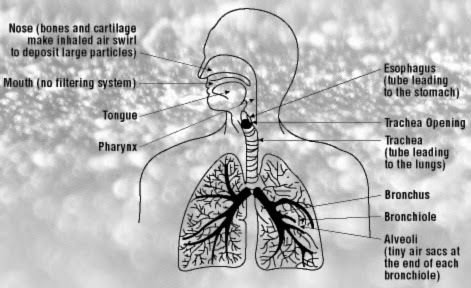 Beside the fact that if you live in a dusty environment, you are literally breathing in dust mites, you can potentially develop symptoms including fibrosis (excess tissue growth in your respiratory system). Furthermore, if you live in a high humidity area and/or near certain environments (lumber yard, farm, sewers, etc) you could potentially develop any number of diseases including hypersensitivity pneumonitis and many others. Don't worry, while you probably won't die from the dust in your house, you should definitely be aware that your body isn't operating at 100% in dusty/dirty conditions. Furthermore, if you suffer from allergies or live near farms, industrial areas, and similar environments then you are especially being effected by the air around you. Here is a list of potential symptoms and diseases caused by different dust materials. The next question is: How do I protect myself from dust at home? At European Maid Company, we specialize in house cleaning and maid services. We help customers through-out the Los Angeles and Santa Monica area. We clean houses, apartments, offices, and more! We can make your home clean and beautiful. We also offer specialized services including Carpet Cleaning, Window Cleaning, House Painting, and general Handyman services. Give us a shot: Call (310) 458-6541 to get a quote! Santa Monica, California maid service that services the Los Angeles area. Credit to CCOHS.ca and Lung.org for the facts. Blog written and maintained by Mercurius Creative, LLC for the European Maid Company. Skinned & Maintained by Mercurius Creative, LLC. Simple theme. Powered by Blogger.